Christmas time is easily my favorite time of the year. I love the cold weather, the atmosphere, the time spent with friends and family, and just the overall warm feeling the season brings. There’s one thing about Christmas time, however, that can get a bit tiring: the music. Christmas songs are nice to hear, but sometimes they overstay their welcome because there are just many versions of a select few of them. But in some cases, Christmas music can be the best part of the season, especially when rock legends decide to cover them. Take for example Bob Seger. Bob covered the Christmas classic “Little Drummer Boy” to get his audience in the holiday spirit. His rendition is awesome and he turns it into a great traditional Bob Seger tune! “Little Drummer Boy” isn’t often covered, so it’s nice to hear a different version of this song. It’s definitely worth hearing. Fun Fact: It was originally called “Carol of the Drum” and was written by Katherine Kennicott Davis back in 1941. It was first recorded 10 years later by the Trapp Family Singers and the Harry Simeone Chorale version in 1958 further popularized this Christmas tune. 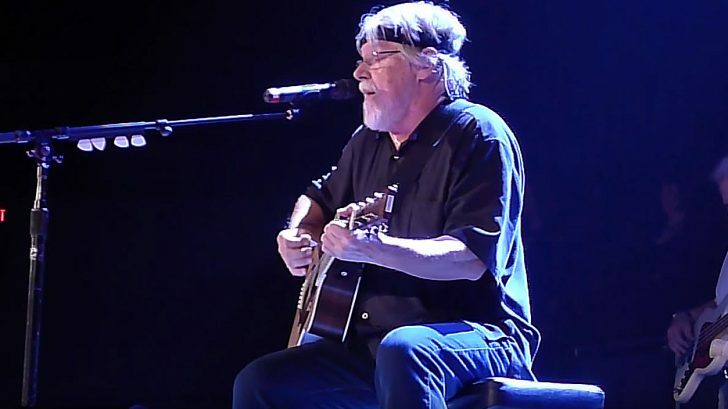 Bob Seger added his own magical touch to this popular song and it just makes me feel nostalgic. It easily takes you back to those simpler days when you were a kid looking forward to the holidays. It’s beautiful, mesmerizing and hypnotic. I don’t know about you but I think this is the best version of this Christmas song that I’ve ever heard. Plus, Bob looks like he’s having so much fun with the performance too. That’s definitely a plus!